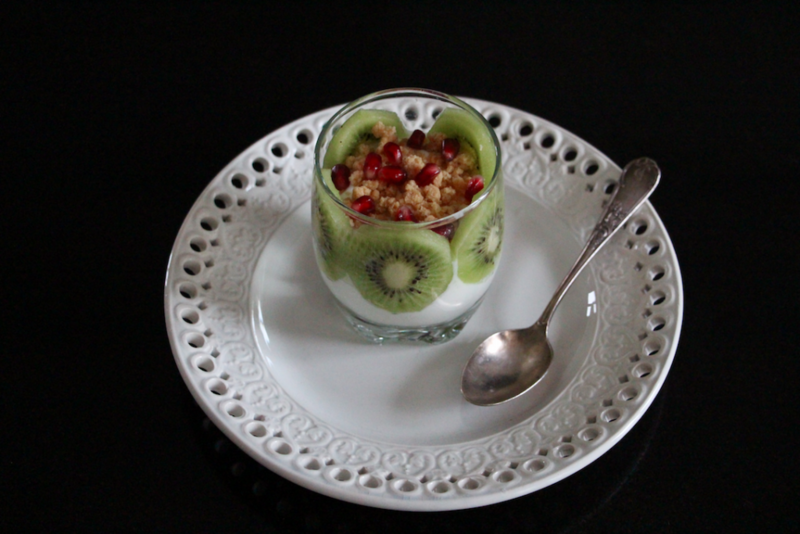 Today I will introduce a great breakfast, full of vitamins and energy! Here is my breakfast bowl! So yes, it’s barely a recipe… since there’s no real preparation. 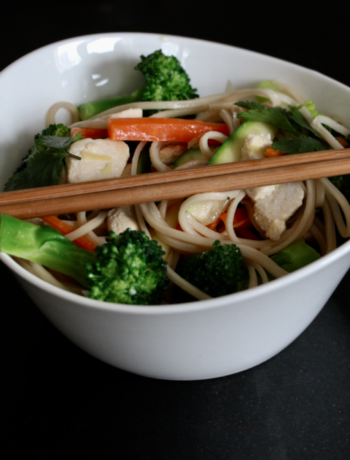 But since it is so delicious and healthy, I thought I would still share it! 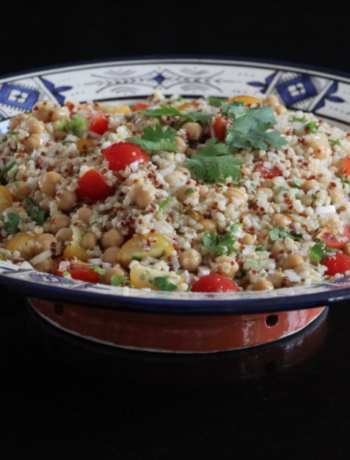 And if you feel like getting back your energy through both physical exercice and balanced food, this breakfast bowl is just perfect! It will also be an excellent afternoon snack, that you will modify as you wish according to the kind of fruits you will have at hand. 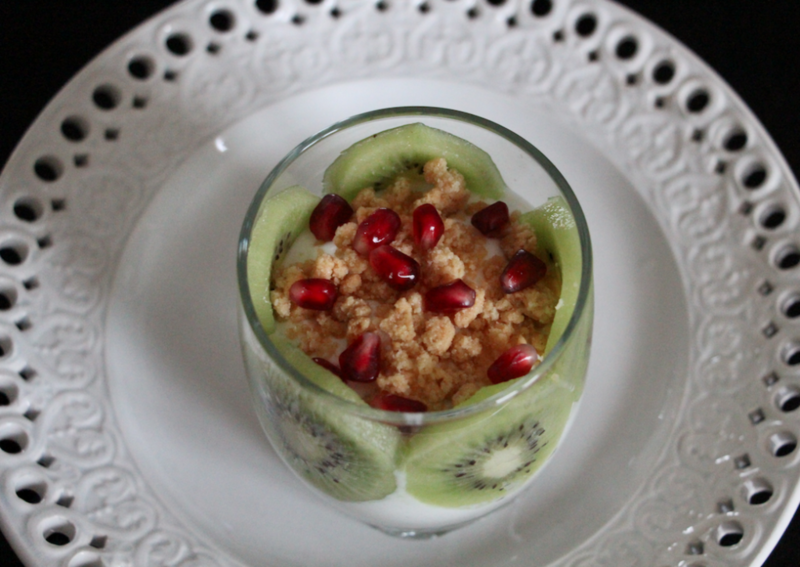 I chose kiwi and pomegranate since those fruits are full of antioxidants, fibers and vitamin C.
With my almond crumble it is a delicious combination ! 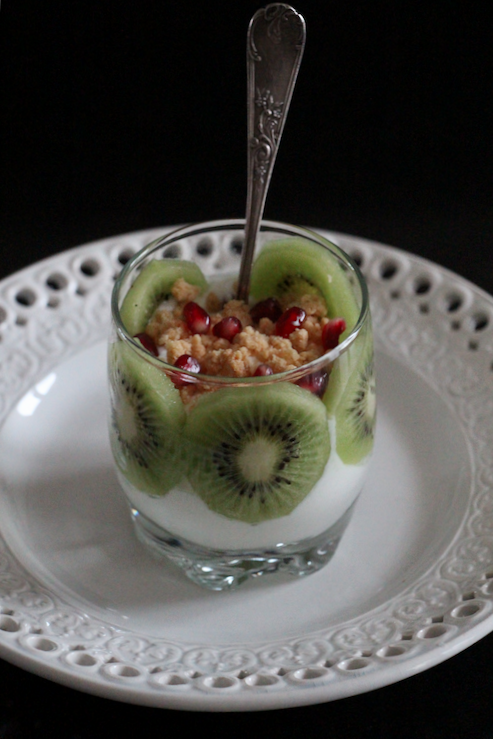 Pour the Greek yogurt in a bowl. 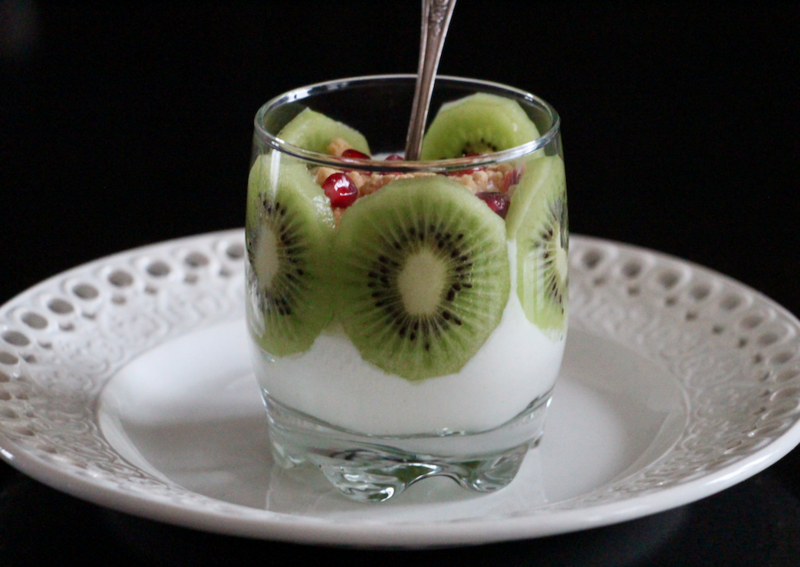 Add the kiwi peeled and cut in slices. Add the muesli and pomegranate seeds. Oh merci Sonia !! Très belle journée ! Hi! I'm Emma, mother of 3, true Alsatian and Private Chef. Follow me in my kitchen! Hey Buddy!, I found this information for you: "My Breakfast Bowl". Here is the website link: http://www.casseroleetchocolat.fr/en/bol-petit-dejeuner/. Thank you.